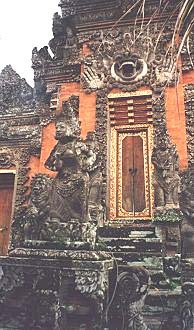 Ubud village temple entrance has a wonderful sculpture of the demon Kala guarding the entrance. Kala stops other demons and evil people from entering the temple. 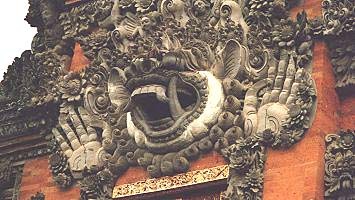 Demons and evil people are usually depicted with large canine teeth on masks and sculpture, to depict their predatory nature. 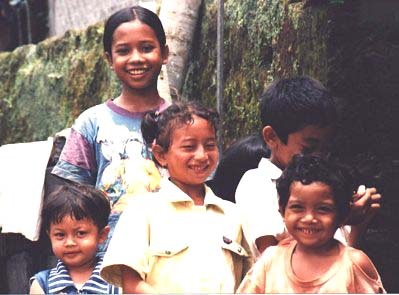 In one Balinese coming of age ceremony people have there canine teeth filed flat to prevent them from becoming predatory in adult life.